One of my favorite cookbooks I received as a newlywed back in the late 90’s was The Cake Doctor cookbook. I learned then that boxed cake mixes can be doctored up and made remarkably delicious and this is a perfect example. I even make Cake Mix Cinnamon Rolls that are to die for. Once I discovered I could make a yummy cake pretty easily I then became a frosting snob. No canned frosting for me!! 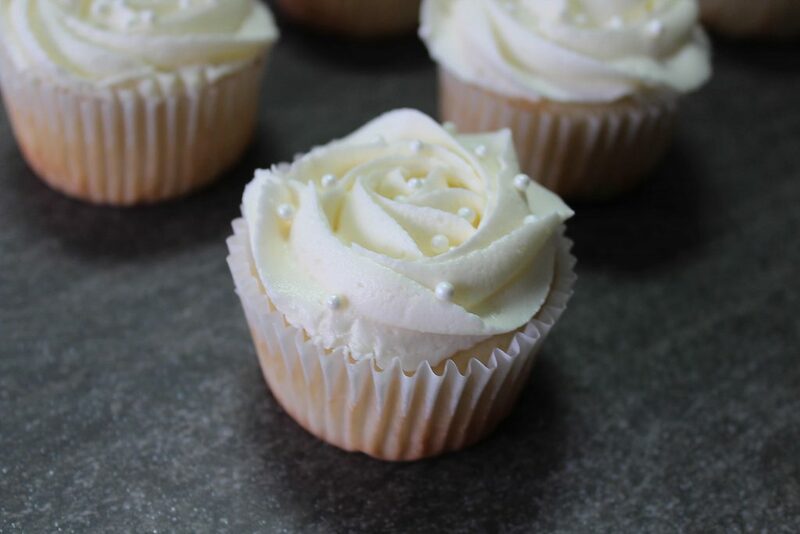 These cupcakes are perfect for any occasion from weddings , birthdays and showers. For these cupcakes I added a little color but that is totally up to you. 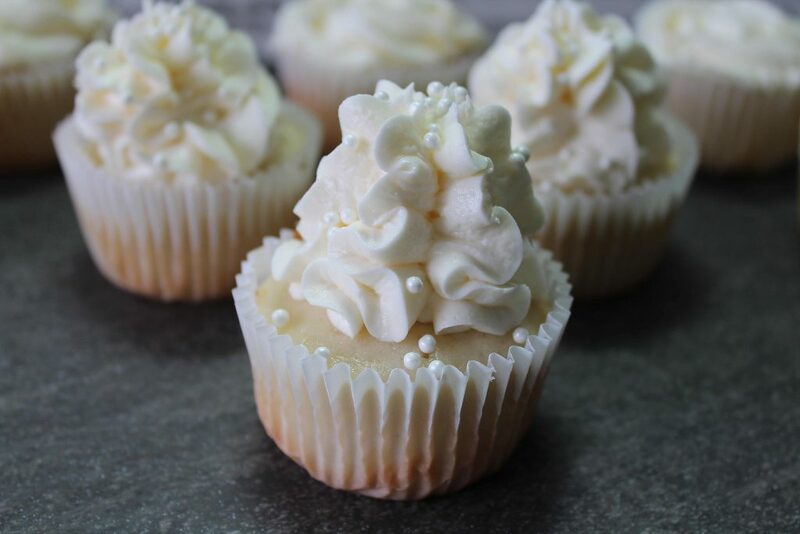 Another bonus is this recipe makes around 30 average sized cupcakes. This particular cupcake that is photographed I made for a fundraiser we do annually for my son’s high school wrestling team . You see , I live in southern Louisiana where Football and Baseball is king in high school sports and they get a ton of community support and funding. Wrestling is low man on the Totem Pole as far as funding goes. Ten years ago some of the moms came up with an idea to host a ladies night out of playing pokeno for prizes. Fast forwarded to present day and this little fundraiser has grown into a monster that is called Tornado Pokeno.We have a theme and ladies come in groups and all plan their costume together, I call it the super bowl of pokenos . I really don’t know the numbers from the beginning years but in the summer of 2017 we hosted around 370 ladies and we outgrew the venue. This summer and a new venue we hosted around 650 ladies and our theme was Bridezilla . My little part of planning this event was organizing the wedding themed cookie, cupcake and cake contest. I was amazed at the local talent we have from home bakers that do this on the side and i just had to share their beautiful work. These cookies were just amazing , the work was so detailed. Starting from the top left with the cute little bride and groom tornadoes is Nicole’s Wee Cookie Jar. The next one over with the precious mason jars and deer antlers is Kori Primeaux, these cookies are as southern as sweet tea. The cookies on the bottom left are by Under the Veil and they won the best presentation , her work was so detailed and intricate. 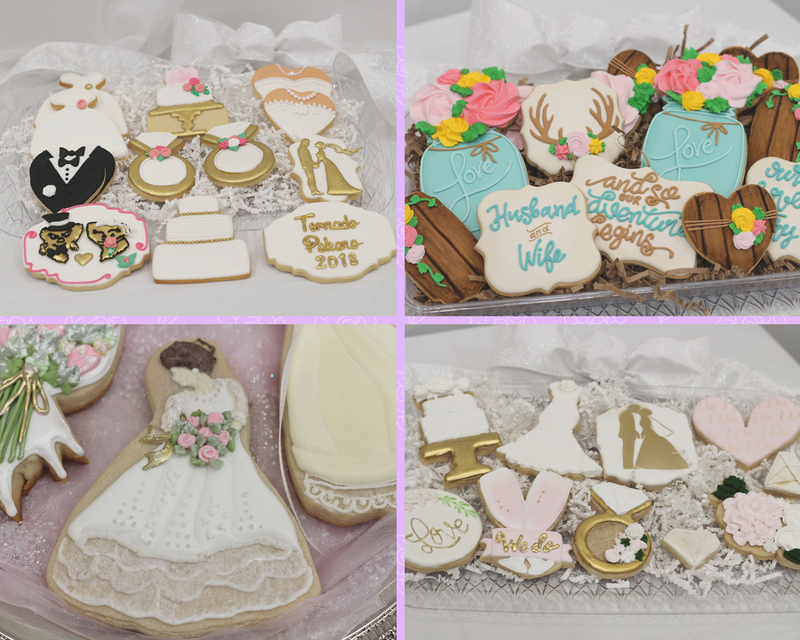 Last but not least the cookies on the bottom right won the best tasting but they are equally as beautiful and were created by T.K.’s Cookie Jar. I didn’t expect to have one wedding cake entered but we had four!! 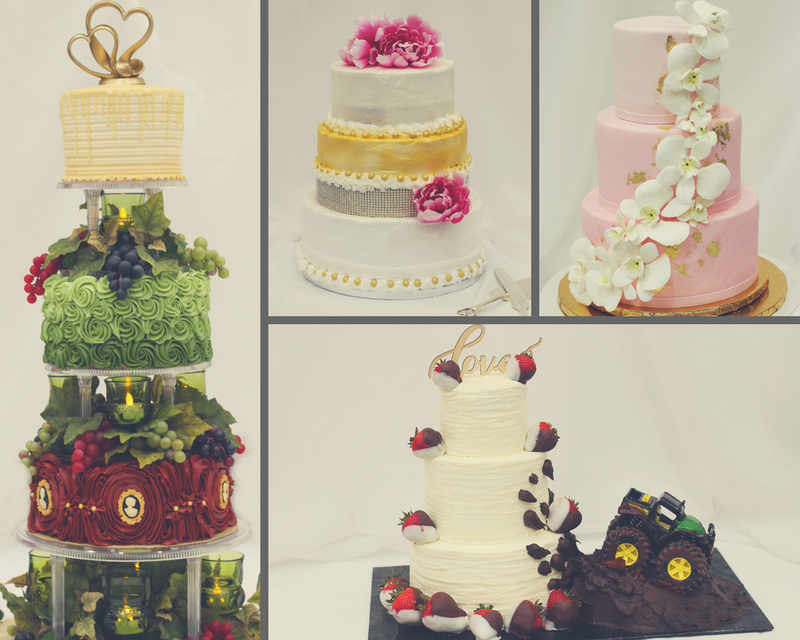 The enormous cake all the way to the left was a head turner for sure and it tasted as good as it looked and Lynette Rogers created this beauty and she won best presentation. The cake on the top with the pink flowers won best tasting and it was just beautiful , classy and was baked by Charlotte Gass. The cake on the top right with the with the perfectly cut fondant was by Cake Love by Debbie. The adorable cake the the bottom with the monster truck throwing up the chocolate fudge is by Brenda Hager. In a large mixing bowl mix cake mix, flour, sugar and salt. I love the idea of doctoring up a box of cake mix! Thanks for sharing!